It’s about that time again, winter is well on its way and it’s time to get your Volkswagen serviced and ready for the winter. But as always, we understand there are some things you’d rather do yourself. Today, the professionals at Avalon Motorsports are here to provide you with 9 different ways to winterize your Volkswagen by yourself. It’s time to pop the hood of your reliable Volkswagen and take a look at the battery. This should help to clear up any confusion your battery has experienced when it comes to power output. If the battery hasn’t been replaced in about four years, it may be time to purchase a new one. Although cold temperatures are hard on batteries, many batteries that are in good shape won’t end up dying during the winter. In fact, did you know that it’s a chemical reaction in the battery if it ends up dying from extremely cold temperatures? Fortunately enough, if your battery is in good shape (is new and/or cared for), it shouldn’t have any issues. 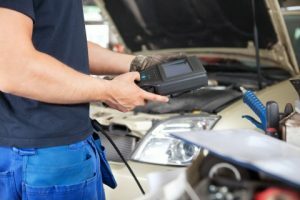 After popping the hood, clean up any of the corrosion you find built up on the posts and connections. Winterizing your Volkswagen is easy when you have the service technicians at Avalon Motorsports on your side. Visit us online today if you need any assistance checking your Volkswagen’s battery. Feel free to make an appointment or give us a call if you have any questions about your battery. Meanwhile, stay tuned for more crucial information regarding how to winterize your car for Denver’s wicked winters.